One thing you won’t find a lack of in Chicago is food. The city is home to award-winning restaurants and a variety of choices when it comes to satisfying your appetite. 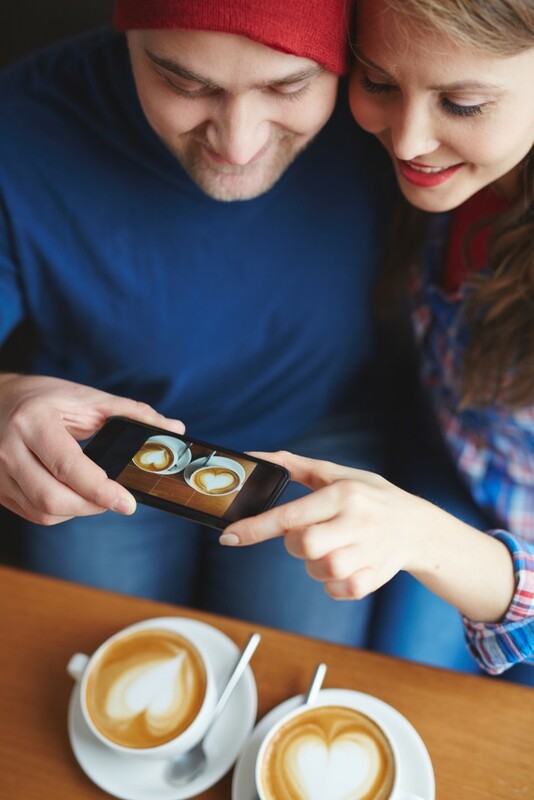 It’s true that food brings people together, and there are countless options to choose from when trying to come up with a Chicago food date. There are plenty of great coffee shops around Chicago. A first date doesn’t have to be expensive or over-the-top. Sometimes meeting for coffee or dessert can be just as intimate as a candlelit dinner. Choose from one (or many) of the following Chicago food date ideas and you won’t be disappointed! Intelligentsia – with locations all over the city, Intelligentsia is a great stop for high-quality coffee drinks. Several of the locations are smaller, which means that you’ll be in close proximity to share some conversation. Caffe Streets – Northwest of the center of the city is Caffe Streets, a locally-owned shop in Wicker Park. The atmosphere is bright, the seating is plentiful, and the coffee is delicious. Make sure to try the turmeric honey latte. You won’t be disappointed! Heritage Outpost – North of the city in Uptown, Heritage Outpost is an extension of Heritage Bicycles specializing in coffee and a variety of pastries from local businesses. Seating is limited, so plan to get cozy or get there early! Their drink menu is limited, but they always offer unique selections such as lavender lattes. Sip – A West loop coffeeshop with delicious drinks and a wonderful ambiance. There is a secluded outdoor seating area, so add this to your list as the weather warms up! Deep dish – You can’t experience Chicago without experiencing its world-famous deep dish pizza selections. Two of the main competitors in this market are Lou Malnati’s and Giordano’s. Both have an incredible reputation, so you can always save the other for a later date. Whichever you pick, keep in mind that pizzas take approximately 45 minutes to bake from the time you order, so don’t go hungry and know that you’ll have plenty of time for conversation! NYC Style – If you’re in the mood for a lighter, thinner pizza, try out Dough Bros. in River North. Slices are big and options are plenty! Specialty – For something truly unique, try out Dimo’s Pizza. In addition to your staple cheese or pepperoni pizza, they also offer a rotating menu of options such as chicken and waffle, s’mores, mac and cheese, and many more. Get a couple different slices and share them! Dimo’s has two locations–one in Wicker Park and one in Wrigleyville. Each location has a unique selection and a variety to choose from. You could even make a day of it and figure out who wins the best donut in the city! Protein Bar – several locations around the city. Protein Bar specializes in healthy (and delicious) burritos, bowls, salads, and an extensive list of smoothies. They’ve also recently expanded their breakfast menu so no matter when you want to go out, Protein Bar has something for you. Three Greens – A recently opened location in River North has everything you want in one place–coffee, dessert, a hot and cold bar, Small Cheval burgers, and famous pastrami sandwiches. There is also extensive couch seating which makes this a place you may want to spend some serious time in. Chicago French Market – The French Market in the West Loop has something for everyone. It is an indoor collection of numerous food vendors ranging from raw food selections to lobster rolls. You can wander through, listen to the French music, and grab a seat in their large seating area towards the back. It’s a great place for a date and feel free to pick up some flowers from Les Fleurs if things are going well! Erin is a Chicago-based blogger, personal trainer, and fitness instructor. 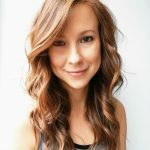 Her blog, Erin’s Inside Job, is an exploration of finding true wellness from all facets of life including the physical, mental, and emotional. Prompted to begin writing after entering recovery from drugs and alcohol, she is also passionate about breaking the stigma surrounding addiction. In her spare time you can find her writing for such publications as The Huffington Post, sweating her way around Chicago, and finding the best coffee and desserts in the city!